Construction Skills Certification Scheme – Are you certified? Construction skill certification scheme which is covered under Work (Construction) Regulations 2006 Legislation was introduced in mid of the 90’s aiming to give focus on improving construction site workers’ safety and thereby increasing site efficiency. CSCS card demands for a level of occupational related competency. It includes Health, safety and environment tests, trainings and certifications to bring workers greatest talent and efficiency and for reducing accidents at the site. CSCS has a database of employees who have passed their Health, safety and environment tests. Different levels of cards will provide to the workers based on their occupational competency. The worker has to pay £30 for Cards and £17.5 for Health, Safety & Environment Test. 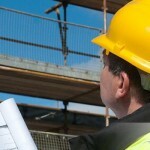 How can you apply for a CSCS card? The first and foremost eligibility for applying a card is that the applicant should have enough occupational competencies. Depending on the working expertise, trainings attended, and the health, safety and environment tests one can apply for his CSCS card. As the first step the applicant should know the requirements in his work area. The occupation area decides which cscs test the applicant needs to attend. For applying a card the applicant needs to pass a Health, safety and environment test which aims at providing and examining the health and safety measures at work sites. The applicant needs to pass the test within the last two years. If the applicant does not know the type of card which he is eligible, he can contact to the customer helpline of CSCS and the team member in CSCS helpline will help to apply the suitable card depends on the applicant’s eligibility. 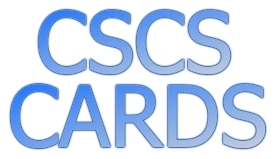 If the applicant knows about the type of card which he is eligible for, he can directly download the application form from the CSCS site and submit it back with required details. After completing all the procedures, a card will be sent to the address which is provided while filling the form. It will take a time period of 7 working days to get your card in hand. CSCS card have validity of either 3 or 5 years. Now a day’s most of the clients or contractors demands CSCS card from their workers for ensuring a safe and efficient working environment.